Your business is going well but you want to see more tangible results from your online efforts. You’re excited to step into the digital marketing world but you aren’t sure where to start. Facebook Ads! Google Ads! LinkedIn Ads! Marketing Automation! You throw your hard earned money into paid advertising because, well, everyone else is doing it right? Here’s the thing, paid advertising can deliver incredible results when done right. A well thought out digital marketing strategy, however, is what you need to focus on first before handing your money over to Zuckerberg. When developing a digital marketing strategy, it needs to be realistic, goal based and in line with your current budget. Let’s say in your strategy, you allocate your budget towards advertising and a fancy website. Now that your budget is nearly gone, you think to yourself “if only there was a way to attract people to your website and convert them to customers at little cost”… Well, we’re pleased tell you; there is! It’s called inbound marketing and you’re going to find out why you should be doing it right here! An Example Of Good Inbound Marketing? Inbound marketing can be defined as the process of drawing customers to products and services via content marketing, social media marketing, search engine optimisation and branding. By creating customer-centric content that is valuable, you attract people to your business without having to sell to them. Once you have attracted someone to your business by providing some form of value to them, you can then convert, close and delight the customer to keep them coming back. Inbound marketing differs hugely from traditional marketing methods which focus on interrupting a person’s attention to advertise to them. Methods such as TV commercials, radio ads etc, can work well, however, from a customer perspective it can be seen as intrusive and annoying. The beauty of inbound marketing is that if you create content based around a problem that your business solves and someone searches for that problem, then you are attracting qualified prospects who need your services. To put it simply, customers find you. What could be better than prospects asking you for information? Inbound marketing is a step by step process that guides user’s to eventually converting into customers. The marketing funnel consists of four individual funnels: Attract, Convert, Close and Delight. The purpose of the first stage of the funnel is to provide customers with valuable content at the right place and the right time. People may find this content through search engine’s, social media etc. To attract people to your site you need to create valuable content, this is sometimes called a ‘lead magnet’. This type of content can come in all shapes and sizes from blogs and videos to podcasts and PDF’s. Presuming that your lead magnet has worked a trick, the next step in the funnel is to convert your site visitors into leads so that you can turn them into customers. Converting site visitors to leads involves collecting contact information from the site visitors. For example, when someone comes across a blog that they are interested in, at the top of the page could be an email subscription box for visitors to leave their information and get sent more blogs like the one they are reading. The third step in the process is called the closing stage, where leads are transformed into paying customers. The closing stage involves lead nurturing, CRM systems, marketing automation etc. Your leads will be at completely different stages of the buying process. This is crucial to understand so you can deliver the right content, at the right place, and at the right time. The final step in the funnel is the Delight stage, where leads or customers are given exceptional service and are engaged with even after they have bought something. The delight stage involves engaging leads or customers with dynamic content after they have taken an action with your business. Let’s say you own a dumbbell business. Stay with me on this one. You want to target people who want to start working out but have little knowledge of exercises. Your budget isn't huge so instead of paid advertising, you turn to your blog. 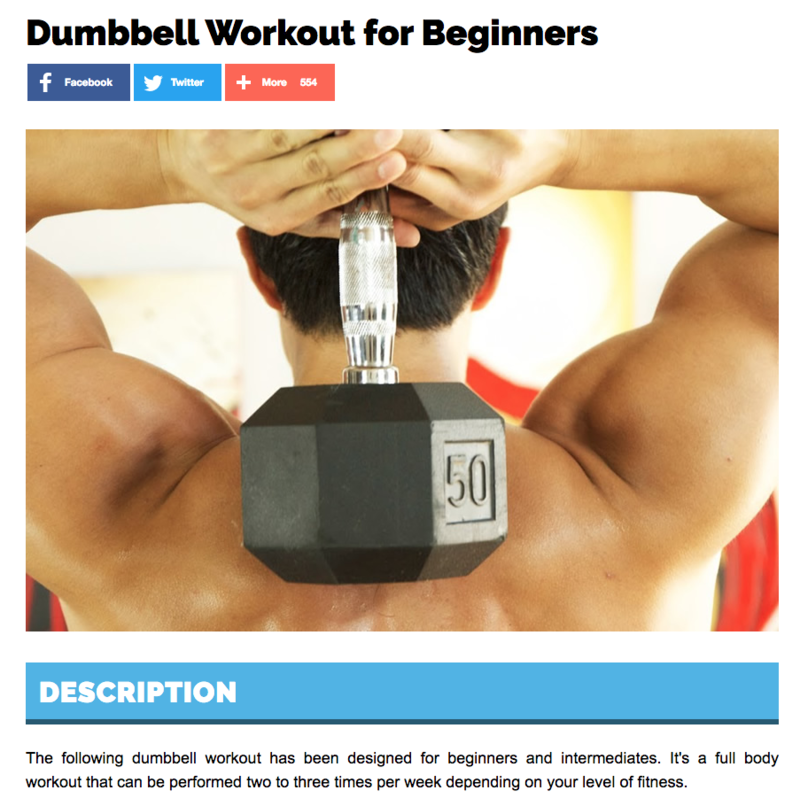 After thinking of ideas for a while, you come up with a blog called “The Best Dumbbell Exercises For Beginners”. The blog is filled with valuable information on the different exercises you can do to increase strength and muscle size with dumbbells. You even throw in a link to some of your dumbbell products for good measure. 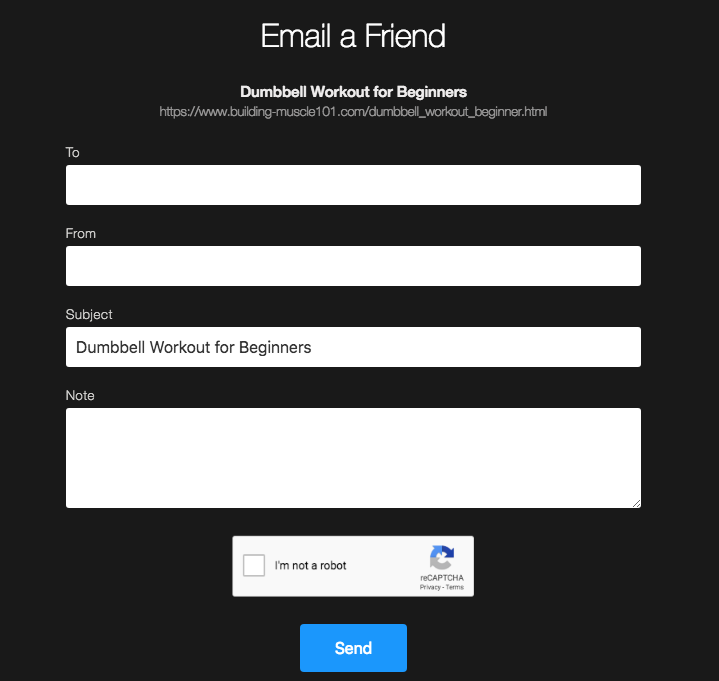 Now, depending on how well optimised your content and site is, when someone searches for ‘Dumbbell Exercises for Beginners’ they should find your blog on Google and be led to your website! From there, you have to decide what action you want them to take next. Do you want them to sign up to your email? Do you want them to go to your product page? The possibilities are endless but you need to define your goals and come up with strategy to convert the website traffic into customers or leads. If your goal is to get emails, so you can target those leads with a product heavy email campaign, you could set up a lead generation form on the blog page. This could be an email box that pops up as the user is reading the blog or an email form in the middle of the blog. Once a user has filled out their email, you can now add them to your CRM system and send them some product deals through an email campaign. A great tool for this is Active Campaign. Oh, and here's a free trial on us! If they choose to buy one of your dumbbells, you could then send them a personalised confirmation email with 10% off their next purchase. And there we have it! The inbound marketing process in action. We have attracted prospects to our website without having to sell to them directly, provided them with value and in exchange asked them to sign up to our emailing list. In doing so, we have built customer loyalty and personalised engaging content to hopefully increase the lifetime value of the customer. One of the best things about inbound marketing is that the content lives on your site as long as you want it to. So, now you know about inbound marketing, I guess the next question to ask is.. Is it effective? The short answer is: yes. But, there’s much more to it. The Content Marketing Institute found that 80% of decision makers prefer to read about brands in articles rather than in advertisements. Creating informative, engaging content is a great way to communicate with your potential customers and help build trust. As mentioned previously, inbound marketing is also cost effective whilst still being effective at generating leads. Yes. That’s exactly what we’re saying! Before you get too excited though, you need to understand the time-scales inbound marketing success happens within. If you are looking for a quick win to boost your profits then paid advertising will be more likely to meet your goals. But, if you are looking to invest in content that could consistently generate traffic/leads years after publishing, then inbound marketing may be for you. It needs to be stated, inbound marketing shouldn’t be your only marketing strategy and it’s not something you should solely rely on. However, you should definitely consider adding inbound marketing to your marketing mix. On its own, it wouldn’t get you the results you are looking for as it can take months/years until you start to gain high volumes of traffic on your blogs/videos/site. But, when you combine PPC, SEO, Social Media etc with inbound marketing, then you have a much higher probability of success from your marketing efforts. If you need any help or assistance with inbound marketing, please do not hesitate to get in touch below.